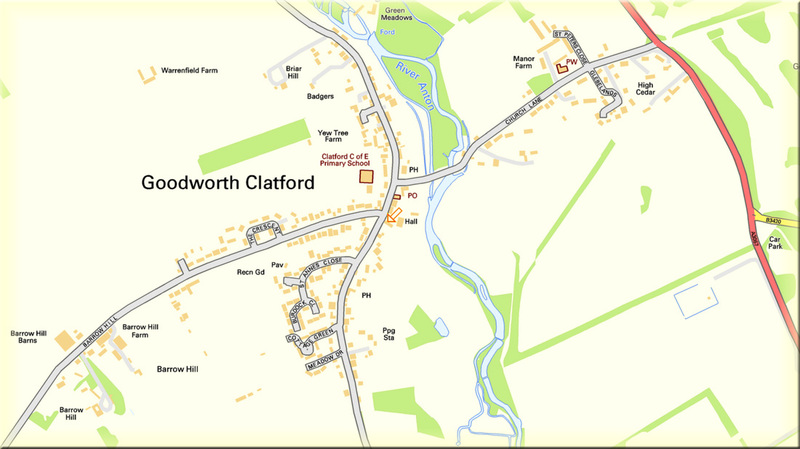 ​The Village of Goodworth Clatford is located 2 miles south of Andover in the country of Hampshire, England. It has a population of less than 1000 and is served by a 13th century Church, a Primary School, Village Club, Shop with Post Office, 2 pubs (The Royal Oak and The Clatford Arms) and a Garage. It is a well equipped and friendly community. 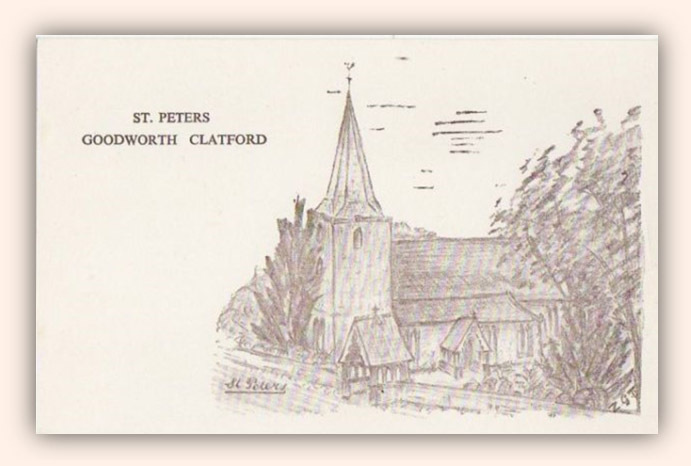 A great feature of village life in Goodworth Clatford is the sound of church bells summoning the community to church. The eight bells in the tower are regularly rung and their framed details are on the south wall to the left of the porch door. The oldest bell No.6 ﻿﻿was ﻿﻿cast by John ﻿﻿Wallis ﻿﻿in 1622 and is inscribed ‘Give Thanks to God', whilst No.7 cast by John Danton in 1627 is inscribed ‘Love God'. Two light-weight bells were added to the existing six in 1986, the No.2 being recast from a bell given by The Royal Air Force Guild of Bellringers. The Treble, inscribed ‘Holiness Unto The Lord', was paid for from monies collected in and around the parish, adding to a bell fund started in memory of Ernest Dowling, a past churchwarden whose name was commemorated on No.4 in 1937; this continues the long links of the Dowling family with St Peter's Church and reminds us that St. Peter's has been, and still is, central to the life of its community. ​Cladford, Godorde 1086 ( DB ). Goodworth (originally a separate name) means ‘enclosure of a woman called Goda', OE pers. name + worth.